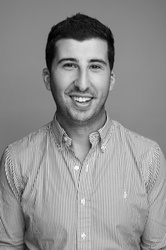 Joel is a performance manager at Columbus Agency, which is part of the Dentsu Aegis Network in Sydney. He specialises in e-commerce and retail clients and has experience across some of the largest retail brands in Australia. Working closely with performance partners, Joel is on the forefront of the latest technology and trends which has proven to drive results for retailers.